Twelve years ago, the arrest of four police officers known as the “Riders,” who were accused of planting evidence and making false arrests, shocked Oakland residents and prompted a civil lawsuit against the city. Now the long legal process the case set in motion is reaching its final stages. In January, Oakland officials will meet with a federal judge to report on the Oakland Police Department’s progress in reforming its rules and procedures in response to the lawsuit, which was filed in 2000 by 119 people who claimed they were victims of police brutality. The suit’s settlement requires that the OPD comply with a series of tasks to improve its internal investigations, training and other areas related to police discipline and accountability, as well as establish criteria for when officers can draw their weapons. After next month’s check-in meeting, the OPD has until January 2014 to complete 22 reforms. 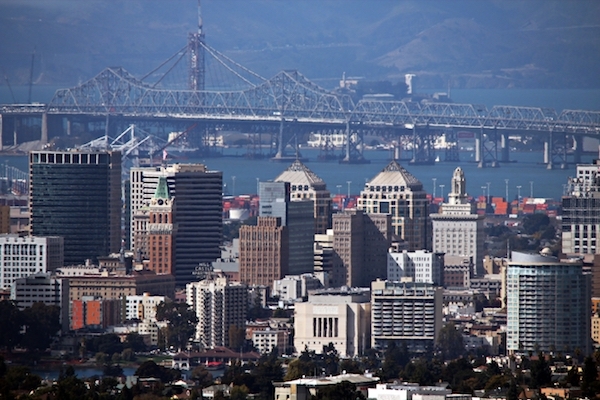 If it succeeds in meeting the deadline, Oakland will conclude an 8-year period of federal oversight that has cost the city millions of dollars. Should it fail, the police department would be placed in federal receivership, in which a group of law enforcement experts appointed by the US District Court of the Northern District of California would be in charge of making managerial and operational decisions for the department. A case management conference is planned for January 19, 2012, at which the parties involved in the settlement will discuss the department’s progress. Although OPD and the City Administrator’s Office have not disclosed what will be discussed during the meeting, Oakland officials will have to respond to the observations of a federal monitoring group that has evaluated OPD’s progress in complying with the settlement reforms. Accomplishing these police reforms has not been an easy task for Oakland. The 51 tasks established in the agreement were originally supposed to have been fully implemented by 2008, but the compliance deadline has been extended three times. The most recent progress report, issued this October, shows that ten of the tasks were still uncompleted — including requiring police officers to report and justify every instance in which they use lethal weapons, and examining all police officers who have been constant targets of citizens’ complaints. Because of the sensitivity of the ongoing legal preparations, OPD Interim Chief Howard Jordan, OPD spokesperson Johnna Watson, Oakland Police Officers’ Association president Dom Arotzarena, Mayor Jean Quan and Oakland’s Citywide Communications Director Karen Boyd all declined to comment in detail to Oakland North. But attorneys Jim Chanin and John Burris, who represented the plaintiffs in the 2000 civil lawsuit and won the settlement in 2003, were able to offer some thoughts about what they hope will happen next. “We want Oakland to meet the standards of other police departments in the U.S. and to be in accordance with the Constitution,” Chanin said. But according to his court testimony, his admiration for the more experienced officers soon crumbled when he witnessed their unorthodox methods. According to Batt’s accounts, the Riders beat suspects, planted drugs on them, made unjustified arrests and wrote false reports. Batt said he was then forced to follow their lead. The young police officer reported the Riders’ practices to the OPD’s Internal Affairs Division in 2000 and resigned shortly afterward. Batt’s reports prompted criminal investigations against the four accused officers: Frank Vazquez, Clarence Mabanag, Jude Siapno and Matthew Hornung. Mabanag, Siapno and Hornung were fired and arrested in November, 2000. A few days before he was fired, Vazquez left the country; it is believed he fled to Mexico, his home country. He has been sought by the Federal Bureau of Investigation since 2000. The three other officers faced criminal charges for kidnapping, false imprisonment, assault with a deadly weapon, and filing false police reports. They stood trial in the Alameda County Superior Court in 2003. The jury acquitted them on some of the charges and deadlocked on the rest. A second trial in 2005 ended with almost the same results. According to news accounts at the time, the jury in both the 2003 and 2005 trials doubted the testimony of Batt, who said during the second trial that he had also filed false police reports during his time being trained by the Riders. “I thought [the defendants] were set up,” said one juror to The San Francisco Chronicle after the trial’s conclusion in 2003. No third criminal trial was ever initiated. But on December 17, 2000, 15 alleged victims of the Riders filed a civil lawsuit against the city of Oakland. Civil rights attorneys Burris and Chanin represented the plaintiffs, whose numbers ultimately increased to 119. Most of the plaintiffs were young men with a criminal history, mainly drug-related. “These men are the most vulnerable,” Burris said in a 2003 interview with The Washington Post. “They have prior convictions; they have served time in prison; they are on parole. They are not generally believed to be victims in a case like this.” They accused the Riders of severely beating them and planting drugs as evidence in order to detain them; and they demanded financial compensation for the alleged police brutality. The resulting three-year civil trial concluded in a settlement between the city and the 119 plaintiffs. In January 2003, Oakland agreed to pay $10.9 million in damages and attorneys’ fees. In addition, the city agreed to a non-monetary settlement that required the OPD to comply with a series of reforms to guarantee that no other Oakland police officer would follow in the steps of the Riders. These reforms are collectively referred to as the Negotiated Settlement Agreement (NSA). Together with the plaintiffs’ attorneys and the court, Oakland officials established 51 reforms the OPD would have to implement in a five-year period. These reform tasks focused on improving investigations regarding unethical practices within the department and establishing ground rules for police conduct. The reforms were initially expected to be accomplished by 2008. The parties selected a group of four law enforcement and civil right experts to evaluate the OPD’s progress in complying with the tasks, and to provide assistance and training to accomplish them. The members of the monitoring group were Rachel Burgess, a retired Division Chief with the Los Angeles County Sheriff’s Department; Kelli Evans, a former trial attorney in the Civil Rights Division of the Department of Justice; Charles Gruber, former president of the International Association of Chiefs of Police and former police chief of Elgin, Illinois and Shreveport, Louisiana; and Christy Lopez, former attorney in the Civil Rights Division of the United States Department of Justice. Oakland granted this group, known as the NSA Independent Monitoring Team, full access to the OPD’s facilities and documents to conduct inspections and audits. The group was expected to file quarterly reports on the OPD’s compliance with regard to the 51 tasks, and the OPD’s Office of the Inspector General was also expected to file semi-annual reports on the department’s progress. As part of the agreement, Oakland officials agreed to cover the expenses associated with the monitoring program. According to a document issued by the City Attorney’s Office in 2003, Oakland would have to budget $2 million a year for 5 years, the duration of the settlement. This included the cost of the monitoring group; $3.5 million total for the five years. However, the costs increased to approximately $15 million total for 2008 and 2009, according to a report from the OPD sent to the City Administrator’s office in 2007. In 2007, Henderson approved Oakland officials’ request to extend the compliance deadline to January 2010. But at the end of 2009, the monitoring group concluded that the OPD had still only complied with 30 of 51 tasks. Although the department had adopted all the policies required by the settlement, the group found cases of police misconduct that were not addressed under the new policies. As a result, they concluded that some of the tasks that involved police accountability and discipline remained incomplete. Still, this reported progress was not enough to accomplish the settlement goals by the end of the new deadline. In 2009, Judge Henderson approved another extension for the compliance of the tasks, this time pushing back the deadline to January 2012. The settlement parties selected another group of experts for a new independent monitoring group, after the experts from the first group announced they wouldn’t be able to continue evaluating OPD for the extended period. The parties selected Police Performance Solutions LLC, a consulting firm that focuses on police department operations, to be in charge of monitoring the OPD’s compliance with the NSA. The firm is lead by Robert Warshaw, former police chief for Rochester, NY, and Statesville, NC, who also served as Associate Director of the White House Office of National Drug Control Policy from 1998 to 2004. The parties agreed to reduce the number of pending tasks to 22. But according to the monitoring group’s last quarterly report, issued in October 2011, the OPD still hasn’t accomplished ten of these tasks. In their reports, the members of the group have stated that most of the issues that prevented the OPD from complying with the settlement are cases related to excessive use of force by police officers, cases in which police officers have not adequately justified the reason for vehicle stops and detentions, and too many dismissed or deferred citizens’ police misconduct complaints. Another issue that the group pointed out in their reports is a lack of consistency in assessing citizens’ complaints of police misconduct. A policy adopted by the OPD as part of the NSA allows Internal Affairs investigators to dismiss complaints of police misconduct if they question the credibility of the complainant. The monitoring group found that in some cases investigators applied this clause incorrectly or without enough justification. The report also mentioned a case in which investigators dismissed a complaint because the police officer involved had been drinking. Alcohol “was used to discredit civilians in two different cases, and yet had no impact on an off-duty officer’s credibility in another, and even served to explain some of her actions, somehow relieving her of intent to violate policy because she had been drinking,” the report stated. Oakland North requested an interview with Oakland’s Interim Police Chief Howard Jordan about the issues noted in the August report, but OPD’s Media Relations Officer Johnna Watson said that Jordan will not make any comments related to the settlement until Oakland officials meet with Judge Henderson for the January case management meeting. Dominique Arotzarena, president of the Oakland Police Officers Association, did not respond to Oakland North’s interview requests. The OPD’s Internal Affairs Division and the independent monitoring team are currently conducting investigations related to accusations of police misconduct and excessive use of force during the Occupy Oakland protests, Interim Police Chief Jordan announced during a press conference on October 27, a day after the first eviction of the Occupy camp and the first clash between police and protesters at 14th Street and Broadway. According to Burris, clashes between Oakland police and the Occupy protesters this fall might be added to the list of issues Oakland officials would have to respond to in Judge Henderson’s courtroom in January, 2012. Burris said that during the riots that followed the Occupy Oakland camp’s eviction, the OPD may have violated a crowd-control policy established after an anti-Iraq war protest at the Port of Oakland in April, 2003. During that 2003 incident, police officers fired wooden projectiles, threw sting ball grenades and broke crowds by riding in on motorcycles. A year later, Oakland paid approximately $2 million in damages to 52 protesters who filed a civil rights lawsuit in US District Court. Under a policy established as part of the settlement in that case, OPD officers are not allowed to use wooden projectiles, stinger grenades and crowd dispersal methods that could injure protesters. Police officers must always arrest resisters instead of using weapons against them or using other methods to force them to move. Several Occupy Oakland protesters and civil rights advocacy organizations, such as the American Civil Liberties Union (ACLU) and the National Lawyers Guild, have accused the OPD of using rubber and beanbag projectiles against protesters during the Occupy Oakland protests this fall. According to Chanin and Burris, Judge Henderson, who also oversaw the 2003 lawsuit settlement, might find that the OPD violated this crowd-control policy, which in turn might put in doubt the department’s progress in the NSA’s list of tasks related to use of force. Chanin has prepared a motion to sanction the OPD and two of its officers under the Riders settlement agreement, for allegedly concealing an officer’s identity during the Occupy Oakland general strike of November 2. In January, Chanin said, he will present a video in federal court shot by a protester during the general strike that shows an OPD officer with his nametag covered by black tape. This would violate the witness identification requirements established in Task 35 of the NSA. But both Burris and Chanin said it’s still unknown whether police actions during Occupy Oakland protests will be discussed in the next settlement meeting on January 19. OPD Media Relations staffers also said they could not confirm this until the independent monitoring team files its quarterly report in mid-January. The OPD was ordered to comply with the remaining NSA tasks by January 2012, but by last summer, the parties involved in the settlement agreed that the department needed another extension. On June 27, 2011, Henderson agreed to extend the deadline to January 20, 2014 to give the OPD time to comply with the 10 remaining tasks. They include requiring police officers to report and justify every instance in which they use their weapons, examine all police officers who have been constant targets of citizens’ complaints, and apply consistent criteria in reporting and sanctioning police misconduct. Burris said that if the department is placed in receivership, an independent group of law enforcement experts appointed by the court would have managerial control of the department under Henderson’s authority. “It would not be able to make any decisions for itself,” he said of the police department. Burris and Chanin said that the OPD would be the first police department in the US to undergo this process, if it fails to meet the 2014 deadline. On January 12, the settlement parties will file a joint statement to the court that will include the issues to be discussed in the conference management meeting on January 19. The details of the meeting will not be disclosed until the parties issue their statement. OPD officers arrest a protester during the Occupy Oakland encampment eviction on October 25, 2011. Oakland officials may have to respond to criticisms of the OPD’s actions during the Occupy Oakland protests at the next NSA meeting to discuss progress in the 12 years since the Riders settlement. Photo by Brittany Schell. A police line was formed a few hours after the eviction of the Occupy Oakland encampment on October 25 at Frank Ogawa Plaza. Oakland officials may have to respond to criticisms of the OPD’s actions during the Occupy Oakland protests at the next NSA meeting. Photo by Brittant Schell.